With the 2018 release of Creative Cloud, all your favourite desktop apps have been transformed to help you work faster and more efficiently with innovations like artboards in Photoshop, performance boosts in Illustrator and InDesign, and Linked Assets in Creative Cloud Libraries. Introducing Adobe Stock. 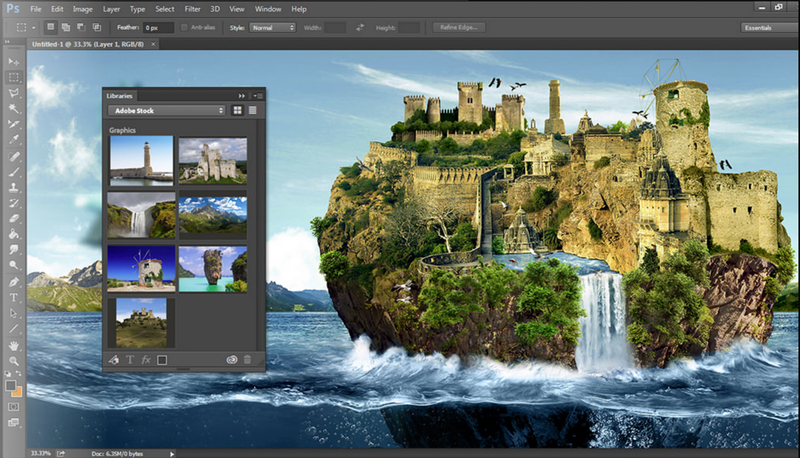 Millions of images, right inside your Creative Cloud apps. New Adobe Stock offers 40 million high-quality, royalty-free photos and graphics to jump-start your projects — all integrated into the 2017 release of Creative Cloud. Members save 40% on Adobe Stock for the industry's best value. A place for you to store, collaborate and manage your Creative Cloud Content. 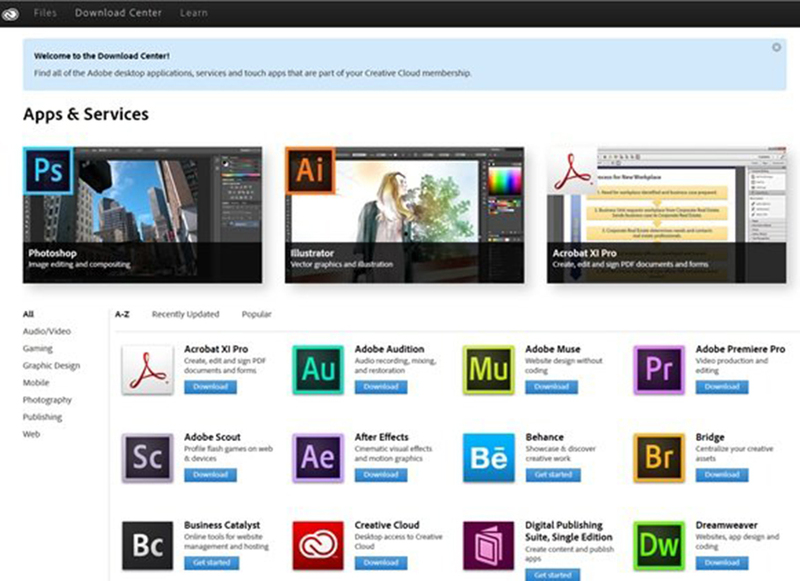 Creative Cloud Assets is integrated into your creative workflow by allowing you to access and reuse your desktop-synced files, mobile creations, Creative Cloud Libraries and royalty-free assets. from CC Market. Typekit is a subscription font service that brings thousands of fonts from foundry partners into one library for quick browsing, easy use on the web or in applications, and endless typographic inspiration. Typekit is available standalone or as part of Adobe’s Creative Cloud service. Creative Cloud Libraries makes your favourite assets available to you and your creative team anywhere. Create and share colours, character styles, graphics, Adobe Stock assets and more, making it easy to collaborate, keep designs consistent and even create style guides to use across projects.